Wine Tours in Our Party Buses! When it comes to entertainment and relaxation, taking a wine tour is the best of all solutions. 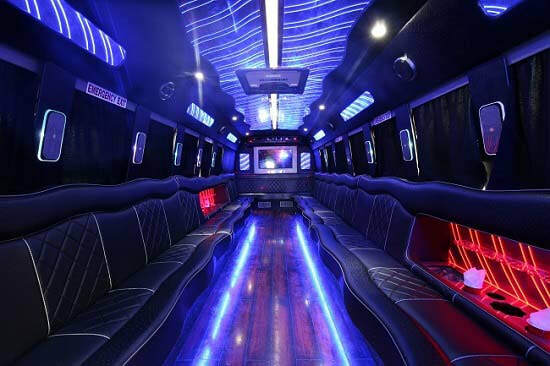 Party Bus Toronto VIP offers the best in limo services and wine tours in the entire city. This gives you the opportunity to relax have fun and experience the vast wines and wineries, all at your convenience and ease. With breathe taking surroundings and exceptional wines at your fingertips, a wine tour can truly relax you and make you a peace in mind. Here is some of the great services that you can expect from us as you fully enjoy your Bus ride and wine tour. No Matter how many wine tours you have been on, experiencing a wine tour in a Limo Bus is a whole new feat. We are here to completely satisfy you and your taste for exotic wines. Party Bus Toronto VIP strives to be the best and your wine tour is no exception. Experience all the vast wineries and do it in style and elegance. We have the best Party Bus limos in our fleet to make this magical tour come to life. Call or click today and get your free quote on your next wine tour and come and see why so many are satisfied with our renowned services. When you are taking your wine tour, you can truly relax and have fun in our state of the art limos. Each limo is fully equipped with the latest technology including plasma screen television, full bars, and internet and phone. With these great amenities, you can full enjoy a luxury limo ride filled only the best in limo services. With the full bar you can sit back and taste all the exotic wines that you encounter on your wine tour. All of this is done to satisfy your taste and desires for your wine tour. When you are tasting all of these wines, the thought of driving is prohibited. You do not have to worry about this with our limo services. You can relax in the lap of luxury and taste all the wines you want and not worry about driving for the day. This gives you the full experience knowing that you do not have to drive while you are enjoying all of the exotic wines during your tour. When you take your wine tour, we know that you want to get the most out of your experience. We offer only the best in scheduling, working around your time not ours. This allows for you to make all the decisions during your tour. You can stay longer at some spots and shorter at others. This allows for maximum exposure to the different wineries and the different scenery that the tour will present. We do all of this to ensure that you truly have fun and experience all the different wines and locations presented on the tour.